Today I will share my trademark bun. 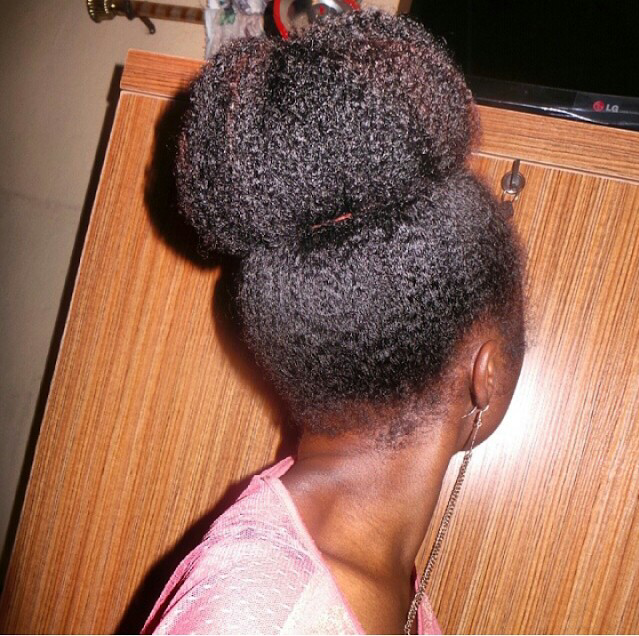 I confess that anytime you see me with this bun, I was just plain lazy....but it still looks like I did a lot ....so .....hehehe! Maintenance is so easy. All I do is dab the hair with my LOC mix, smooth and go. I can rock this for weeks if you let me...lol! Best part is it doesn't stress my hair at all. - 5 mins of your time. You can make it as big or as small as you want to depending on the placement of the end band. It's a cool protective style because it keeps your ends hidden. If you want it to be very huge, do it on blowdried hair or hair stretched out with twists, braids or bands. Here's a pictorial for what I and my sisters call 'The Cheat Bun'. Tip: Keep your edges smooth by using a gel and tying on a silk scarf. 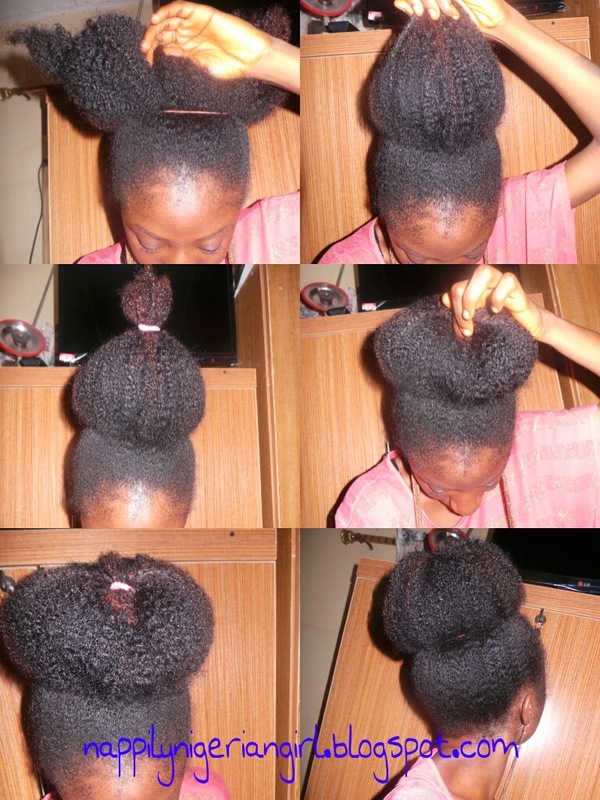 You can also pin down the edges of the bun using bobby pins to hide the elastic band. What's your go to lazy girl style? Nice. I will try this soonest. Thanks for sharing. Praise the Lord! Lola wants to try something that's not twists!!! Woot de woot woot! Love it, my hair is too short for this now though. Hmm...how about making about five small buns and putting it together...like cinnabun styles...it'll look really good o! Ahh...this is like the easiest bun! Try it and thank me later..lol! I love your bun! Sharing on my Facebook page, DiscoveringNatural. My lazy style is two strand twists in an updo. Thanks dear! I love two strand twists too unless I don't have time to put them in...then it's the bun o! Its my newest go-to style. Very easy and fast. I accesorize with a hair pin and am good-to-go. Hahaha! I'm glad you like it. Oh nice! You must have had thick relaxed hair then. I find it difficult to get it reasonably big on flat ironed hair. Love this style.Its my staple hair style,I am a transitioner though and this works perfectly on stretched hair for me,there is a blog post for transitioning ladies by yemi at letsgrowourhair.I can wear this for days,then I have to take it down to prevent tangles.I switch it up sometimes by sectioning,twirling and pining down the sections,its a fun look. Funny enough, I saw this pictorial on Pinterest and I've been using it ever since. I can't seem to hide the ends right. Where exactly are you securing it? Hi Shaina, thanks for stopping by. I tuck the ends in. You can tuck it anywhere it fits and secure it with a Bobby pin.